So now there are no players good enough in the entire United States for ISU? Man I don't know how Duke and UNC and Kentucky do it then. Come on man, you are just making yourself look bad. I didn't say there azre no good players. you said I said that. I said that European players are much more prepared. which has been said by nba players themselves. on another note. I couldn't care less what others thought. I'm sure that's clear by now. I think one days the nba will be a quarter European. You were obviously avoiding cpacmel's response to you which made you look bad!! Again, where's the data to support your point. 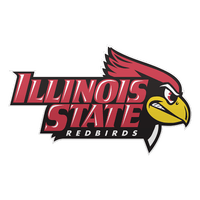 ISU has had 5 seasons (4 players) where a player averaged 7 assists/game. Nobody since Jamar's junior year (he averaged 6.4 his senior year). Three of those point guards were NOT scoring PGs. The other player was a SG (Ron Jones) and played for a team that put up serious numbers. Jones averaged more assists than our PG, who was a true PG. PLee was the first player since Jamar's senior year to average even 5 assists/game (5.0). No player at ISU has even come close to averaging 10 assists/game. Ever. Duhon's offensive strategy is not conducive to having one player average a high number of assists. Muller's strategy before this year was not conducive to players averaging high numbers of assists. Across the NCAA there are 10 players averaging 7+ assists/game. The best is 9.0. Finally, you're comparing NBA numbers to college numbers. The games are different . . . vastly different. I think you need to adjust your expectations. As I said before he was just avoiding Cpacmel's reply. I stand in awe in the presence of brilliance. Although I read about an 8'9" point guard who grew up downwind of Chernobyl. He was able to maintain the dribble with his left hand while laying down suppressive fire with his right. He averaged over 40 assists per game, largely because he eliminated all defenders. Can’t see if he could finish or not though! Stats this year so far. 2.5/1 Assist to turn over ratio I'll take for sure. I like the steal a game too. If TPG is turnovers per game and it is 1.0 then I like it. Just play smart please!